The condition of your teeth has a significant impact on your health and happiness. Patients with dentures in Arlington understand this all too well. The path from a healthy smile to a toothless smile is downhill. Tooth decay and gum disease are very painful and treatment such as fillings and root canals can strain the budget. If the teeth can’t be saved, then they may consider tooth extraction, which can result in bone recession. While dentures in Arlington are superior to having no teeth at all, they certainly come with a myriad of disadvantages. They can irritate gums and make breathing, eating, tasting food, talking, and laughing challenging. And dentures in Arlington are not a once-and-your-done answer for missing teeth. As the jaw shrinks, they require relines. But there is reason for hope! 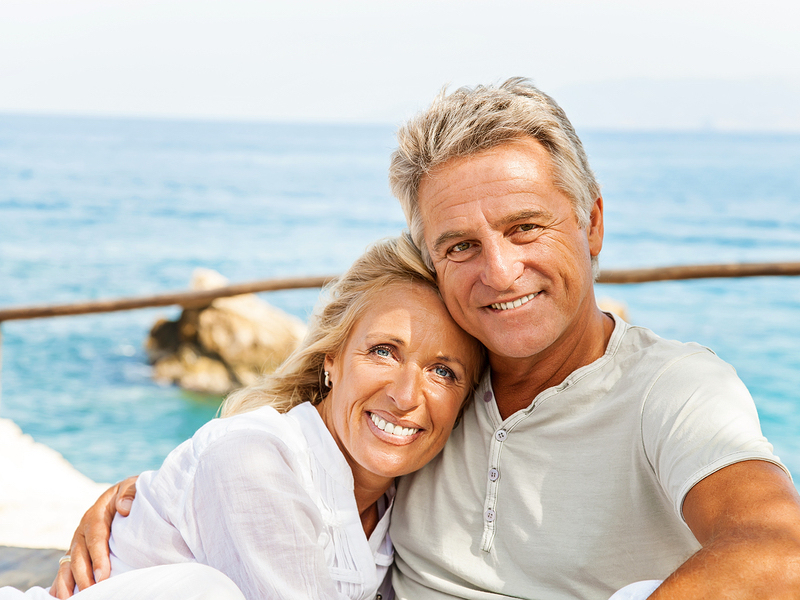 Dental implant technology can improve the quality of life for people who have been wearing standard dentures. To a certain extent, implants curb the downhill progression of declining oral health due to tooth loss. Dental implants can be used to replace several teeth and/or anchor overdentures. Mini dental implants, also called denture-stabilization implant, allow your dentist to securely attach an appliance so that it won’t slip or irritate gums. Small titanium posts are placed into the jawbone and fuse with the surrounding bone, creating a durable base for an overdenture. Did you know that some denture users retain only ten percent of their chewing ability? Implant-supported dentures can curb bone recession and restore near-normal chewing ability. Improved chewing function with implants can result in better nutrition and overall physical health and vitality. The psychological benefits are equally valuable. When Stephen Ratcliff Family & Cosmetic Dentistry patients are free of embarrassing denture-slipping, they are happier, more sure of themselves, and socialize more often. Before you spend money on another denture reline, talk to your dentist about denture-stabilization implants. We also offer other restorative dental treatments, so if you have any questions feel free to call.